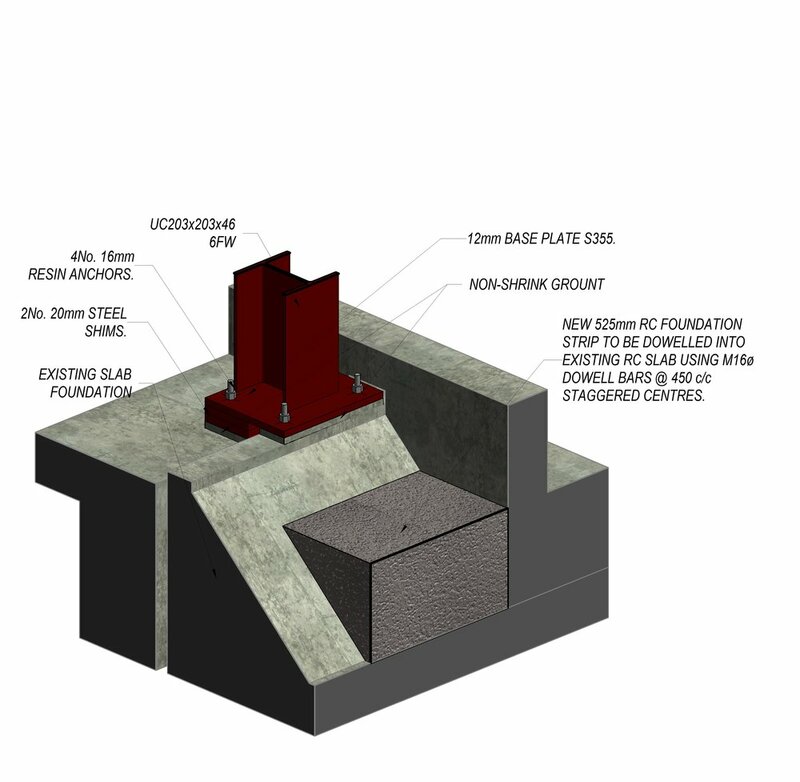 VEDA’s design for extending the Nando’s restaurant at London’s Euston Station works around one of the vital ventilation shafts that release hot air from the city’s underground system. Network Rail’s (NR) shaft was just one of challenges the project presented to David Booth, Associate Director at VEDA, who oversaw the design process of the two new structures, measuring 5.5m by 5.5m and 8m by 4.5m respectively. The extension project will add 23 covers to the restaurant’s capacity and provide additional back of house accommodation for staff. The existing Nando’s restaurant is currently supported on a suspended concrete slab that forms the ceiling to Euston station’s car park and was formally home to the station’s old water fountain and pond. 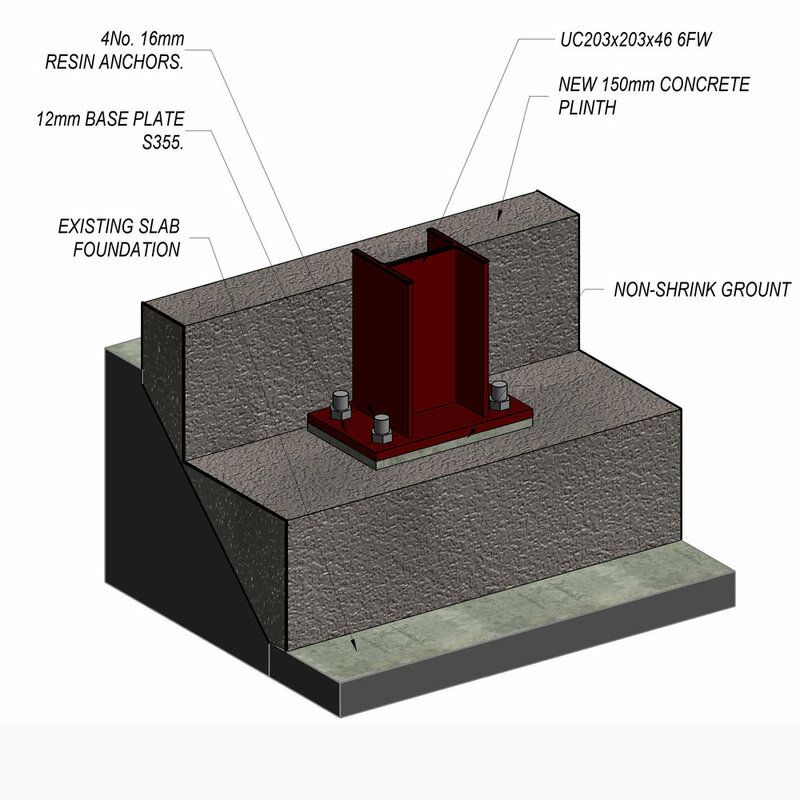 The new structure will adopt the same principal, with new reinforced concrete strip footings constructed on top of the existing suspended slab to support the new steel frame. 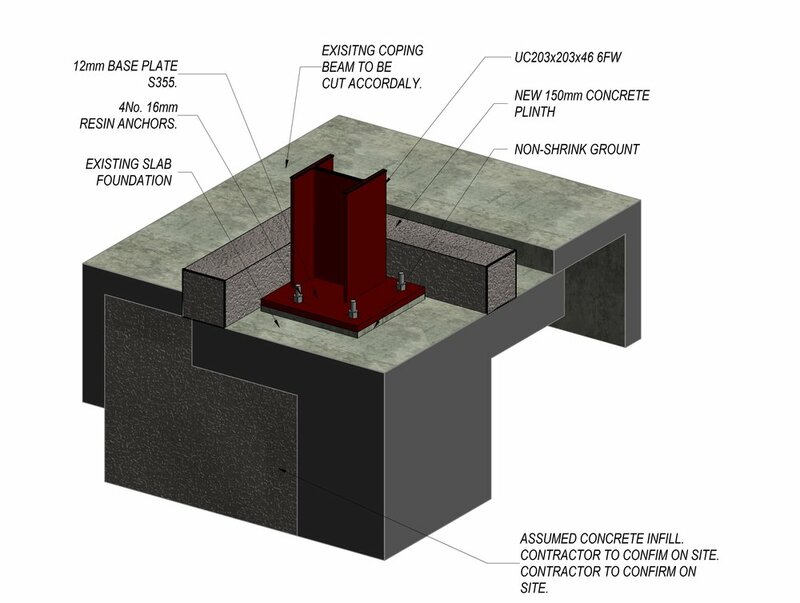 A capacity check of the suspended slab was undertaken, with the slab analysed for the additional load from the new structural frame and an imposed load of 5kN/m². Nando’s extensions have been designed as individual structures with steel framing, timber and cladding and they will be added the front façade and rear of the North-East elevation of the existing restaurant. Painted brickwork, aluminium insulated panels and 24mm thick glazing units are used in the design. Energy-efficient, the glazing has a 6mm cavity, 12mm toughened glass and laminated layer. 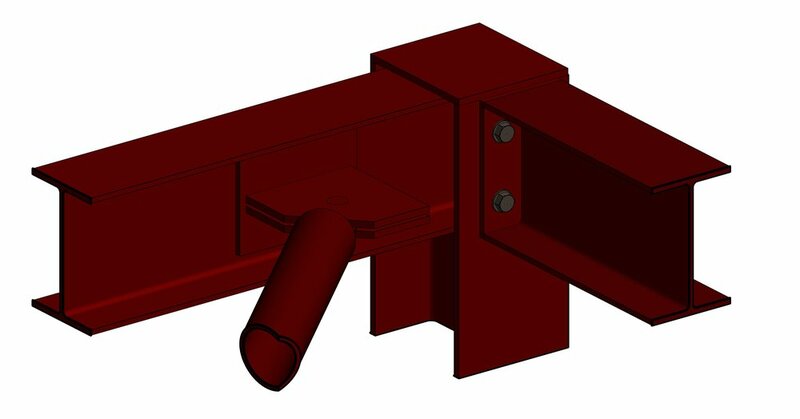 To provide stability to the frame moments resisting connections were chosen over the usual cross bracing methods for the steel structure.